Obituary for Suzanne M. (Sanchagrin) Rheault | Boucher Funeral Home, Inc.
Suzanne M. (Sanchagrin) Rheault, 64, of Gardner, died peacefully Thursday, January 17, 2019 in Wachusett Manor Nursing Home of Gardner, surrounded by her family. Born in Gardner on May 13, 1954, she was the daughter of the late Armand and Beverly (Amundsen) Sanchagrin. Suzanne graduated from Gardner High School with the Class of 1972. She was employed by Walmart of Gardner as a ‘Greeter’ for over 10 years. 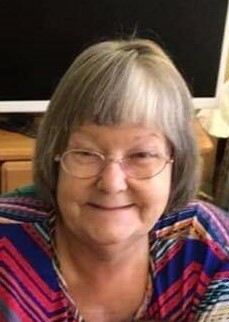 Suzanne was a member of Redemption Rock Church of Westminster. She was a talented artist who enjoyed drawing and face-painting. She loved birdwatching, fishing, music and crafts. Suzanne treasured spending time with, and was extremely proud of her children and grandchildren. She leaves her son, Kevin Rheault and his significant other, Breanna Bouvier of Baldwinville; daughter, Kathy Craven and her husband Martin of Leominster; sister, Bert Johnson and her fiancé, Bill Burns of Baldwinville; grandchildren, Liam and Lily Craven; niece, Jennifer Johnson; and nephew, Jeremy Johnson. Funeral Services will be held Wednesday, January 23rd at 12:00 p.m. in the Boucher Funeral Home, Inc., 110 Nichols Street, Gardner. Burial will be private and held at a later date. Calling hours will be held Wednesday, January 23rd from 10:00 a.m. to 12:00 p.m. in the funeral home. Memorial contributions may be made to the American Diabetes Association, 260 Cochituate Road, Framingham, MA 01701. Please reference in memory of Suzanne M. Rheault.